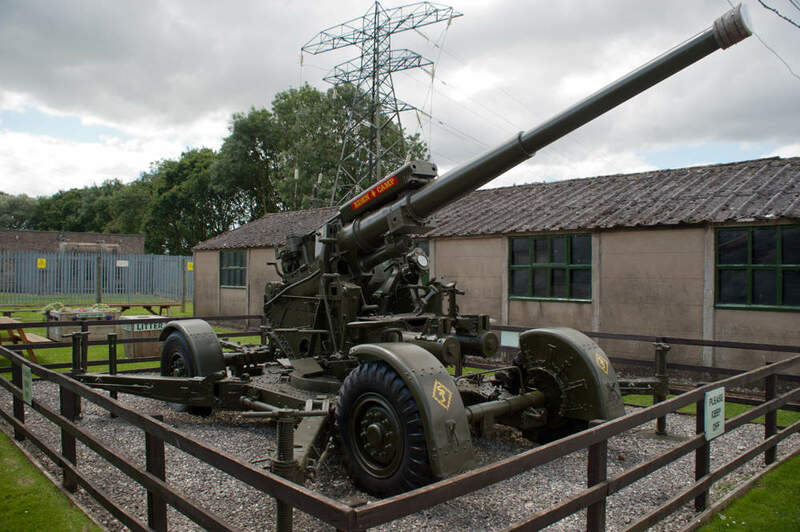 Eden Camp Modern History Theme Museum is located on the site of the former Prisoner of War Camp at Eden Camp - and uses the original wartime huts in which the POWs lived to house exhibits telling the story of the Second World War. 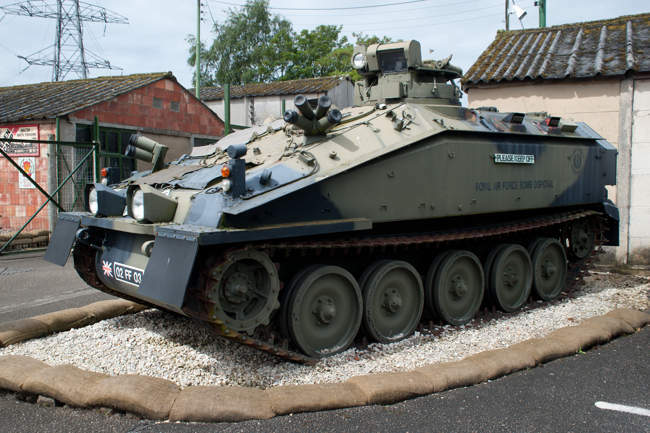 There’s one main area where lots of military vehicles are on display. 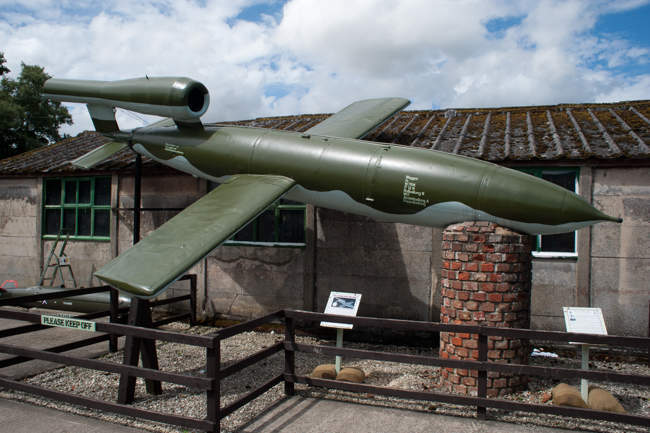 But you’ll also come across several others as you move around the site. 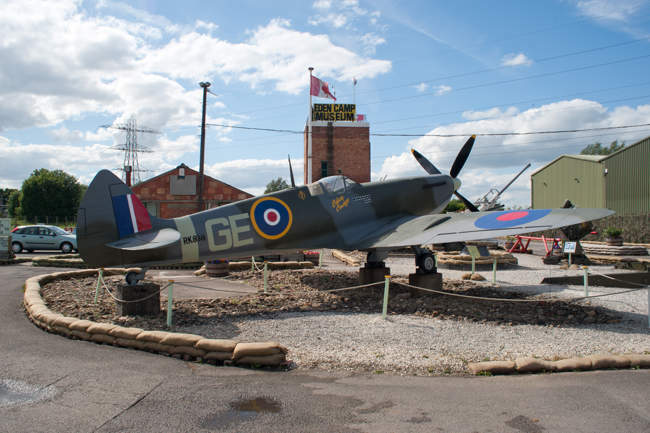 There are far too many to list here, but look out for the Spitfire Mk IX, Hawker Hurricane, Churchill and Sherman tanks, a V1 "Doodlebug" rocket and lots more. When it’s time to stop for a bite to eat, the military theme continues, as the cafe is themed as WinStan’s Bunker, and the Officers’ Mess. You can choose from a range of hot meals and snacks, or sample Eden Camp Bitter which is brewed locally. Alternatively there are indoor and outdoor eating areas provided, so it’s fine if you want to bring a packed lunch instead. You’ll find the main exhibits inside more than 30 wartime huts which were built to house the prisoners of war who built Eden Camp and lived within its perimeter. 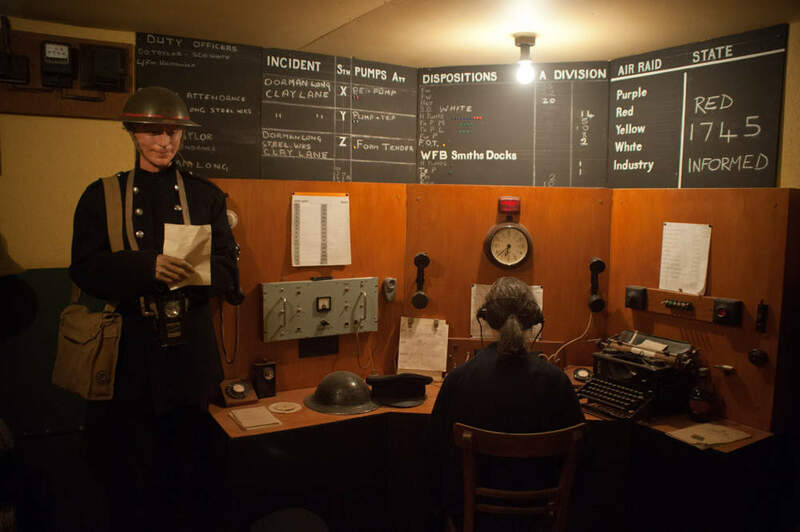 Each hut focuses on an individual theme, and they contain both wartime memorabilia and dioramas - reconstructions of wartime events which really help to bring the story of life in Britain during the Second World War to life. Eden Camp also makes extensive use of audio within the huts - as you go around the museum you'll hear music from the war era, sound effects to enhance the realism of the dioramas, and significant speeches and broadcasts recorded at this time. 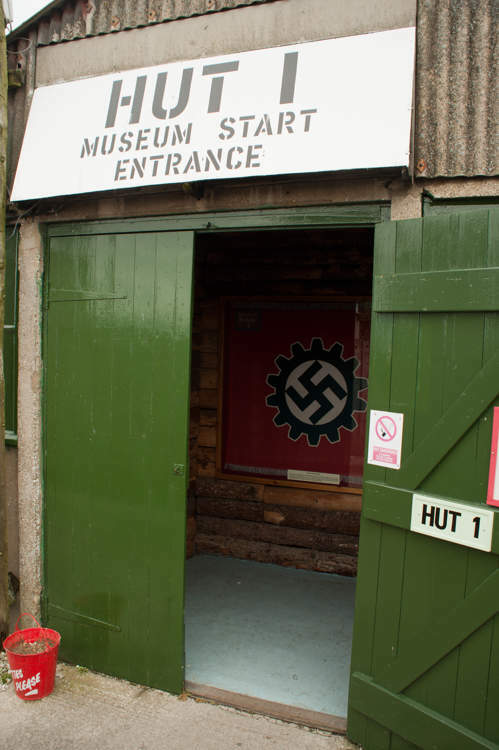 Hut 1 - The Rise of Hitler and the Nazi Party. You will see collected German propaganda posters and British newspaper cuttings documenting the run-up to the war. Words which are still chilling to hear today. A convincing replica of church hall complete with simulated stone walls and ecclesiastical style windows - it’s very well done. 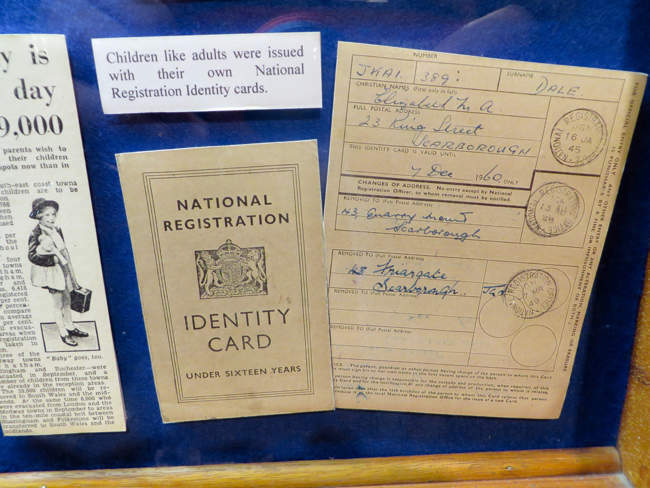 There is also a section on the evacuation of children, including a diorama of kids being sent away by train, and exhibits of government notices about the evacuation. 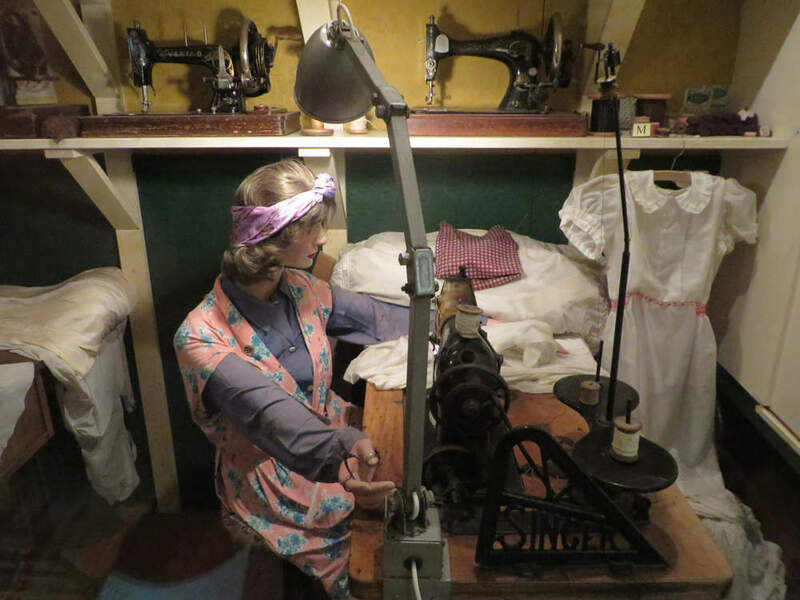 This section really appeals to children, as they can try to imagine what it must have been like to be sent far away from home. There is also an interactive display about food rationing - see how much food you think you’d be allowed to have. It might be less than you expect! Hut 3, and Hut 5 described below, each have warning notices displayed outside - “Persons of a nervous disposition are warned that this exhibit could cause some anxiety”. If you have very young children in your group or others who might be easily upset, you might want to scout these out yourself first. Eden Camp have made a lot of effort to make these reconstructions realistic, and the overall effect might be a bit too graphic for some. 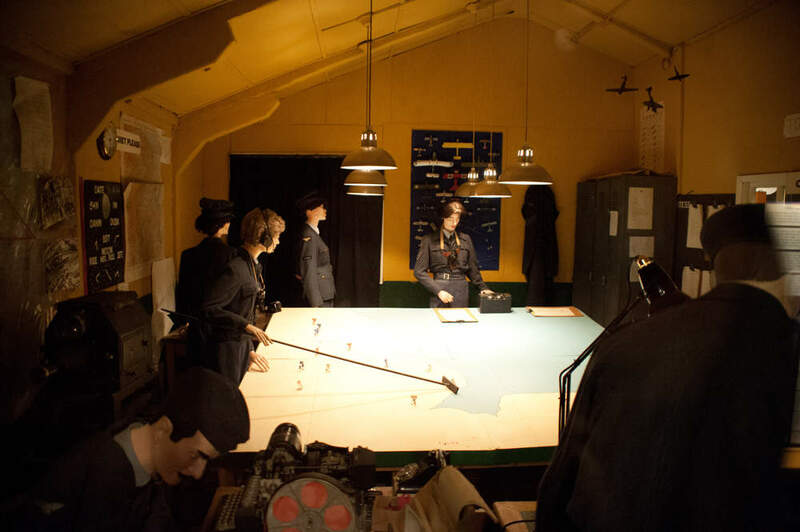 This hut contains a detailed recreation of a submarine. Once again, audio is used to great effect, to make you feel that you’re on board. There is also a reconstruction of a ship that is being attacked by a U Boat - it’s been struck - water is flooding in and some of the sailors are drowning. 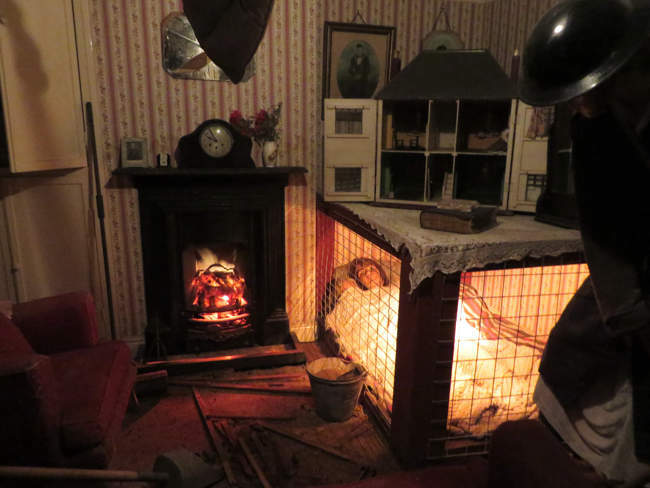 This hut contains an impressive diorama showing a house that’s been hit by a bomb during an air raid. 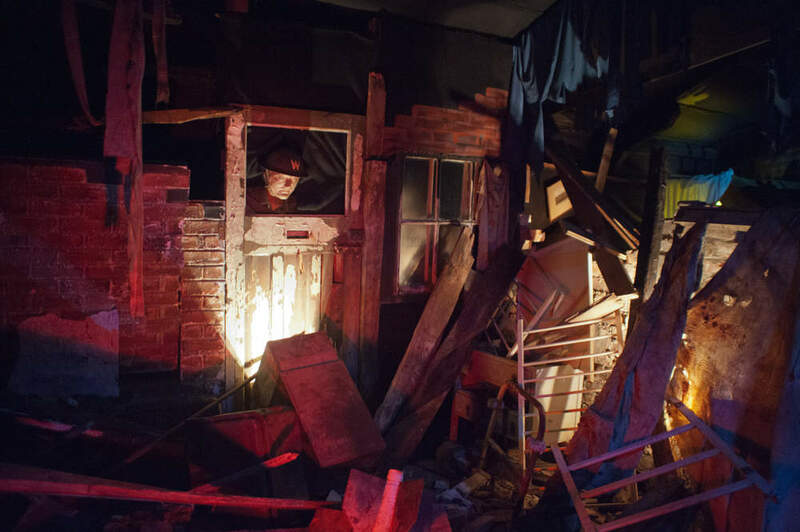 The combination of the model, lighting and atmospheric sound effects brings this scenario to life. 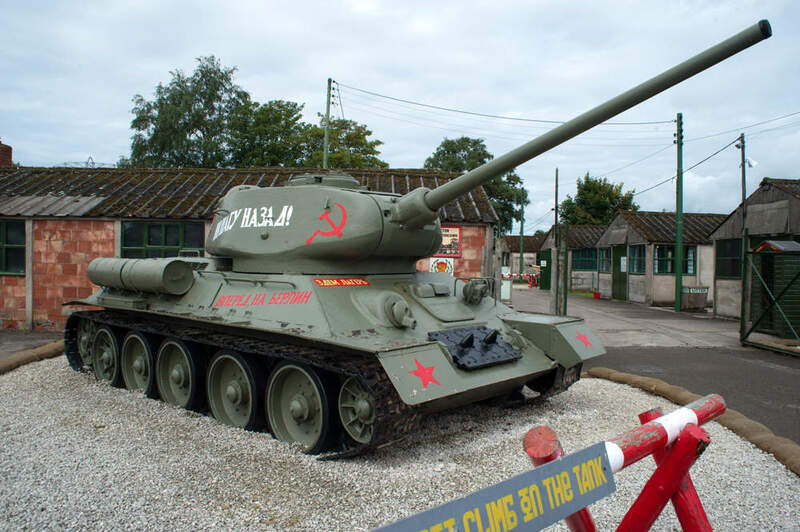 - you can hear the songs of the time, and get a sense of the “spirit of the blitz”. Apparently there are puppet shows several times a day in this hut, although we didn’t see one ourselves on our visit. 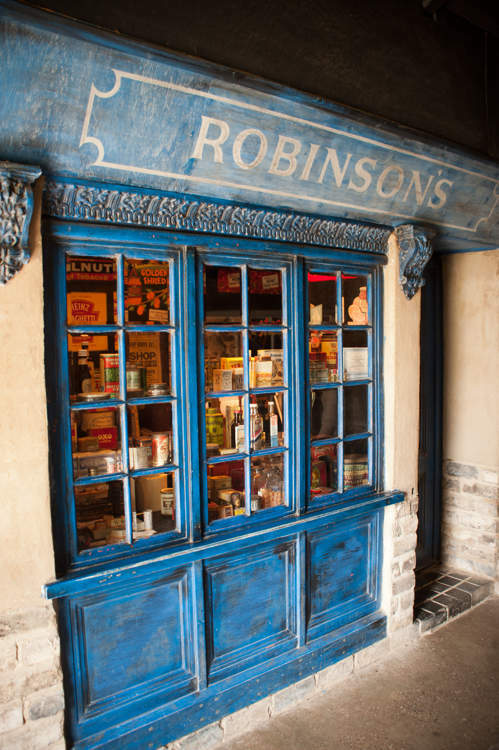 A recreation of a wartime street, with shop fronts displaying a variety of good from the 1940s. There are also sections on the Produce of Wartime and how people’s diets changed during the war, and on the Children’s War. Hut 10 has an interesting exhibition about the prisoners of war who were imprisoned at Eden Camp - showing the toys and models that they made - and their work on local farms. 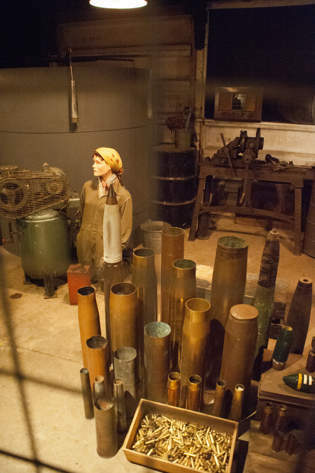 In fact, construction of Eden Camp was begun by 250 Italian prisoners of war in 1942. By the time it was completed, it could accommodate over 1,000 prisoners. 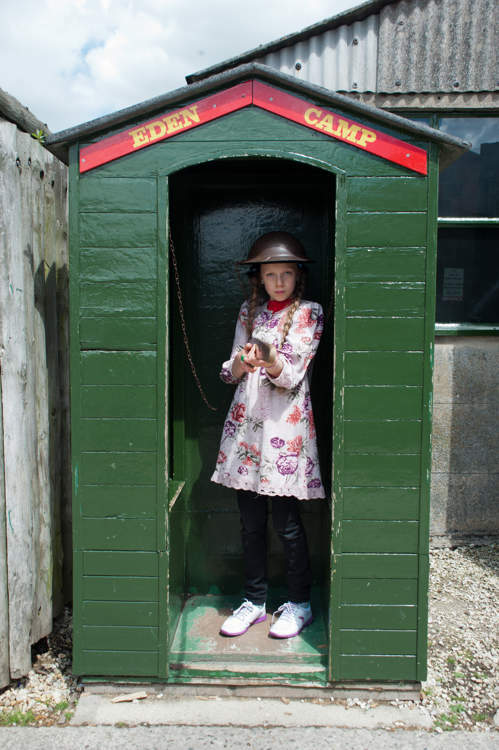 Hut 11 travels further back in time to WWI, showing a recreation of a trench - and showing items carried by soldiers. In the second part of this exhibit don’t miss a poignant and moving letter written by a girl called Molly to her father who was at the front during the first world war. 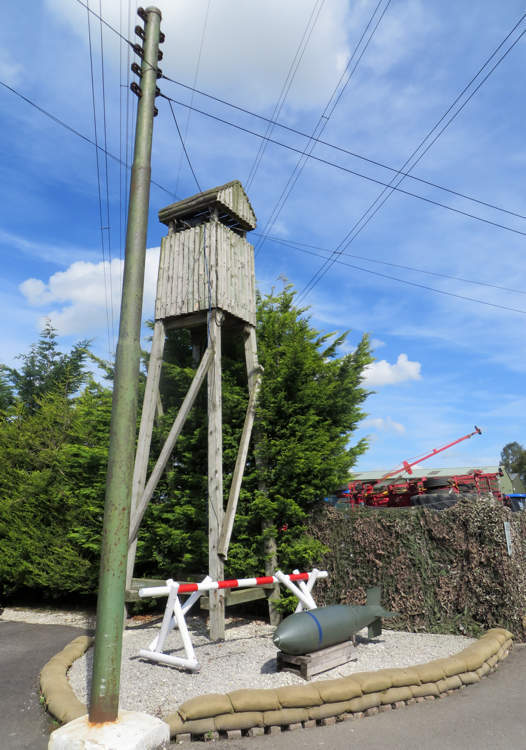 This hut contains a recreation from the Korean war, and exhibits related to the Falklands War, Gulf War, Bosnia and Kosovo. 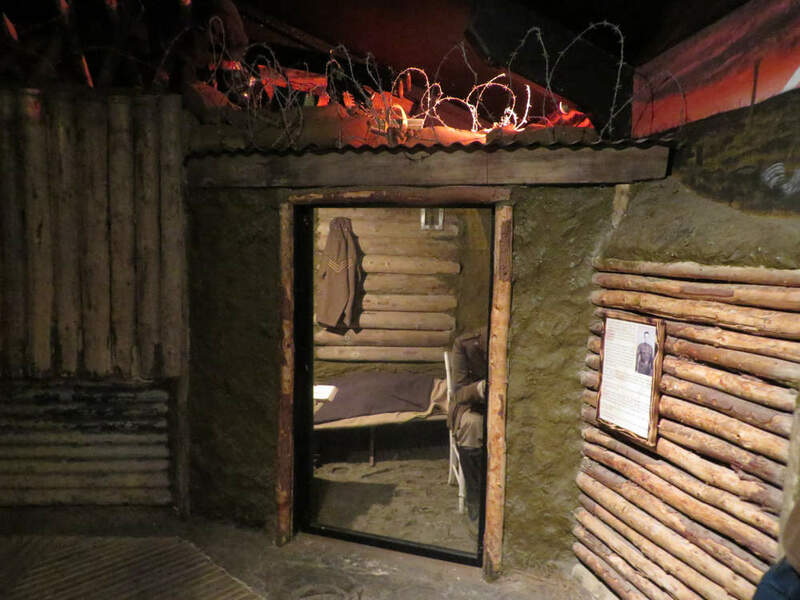 These huts have reconstructions highlighting the important contributions made by civilians who volunteered to help the war effort by doing important work at home. 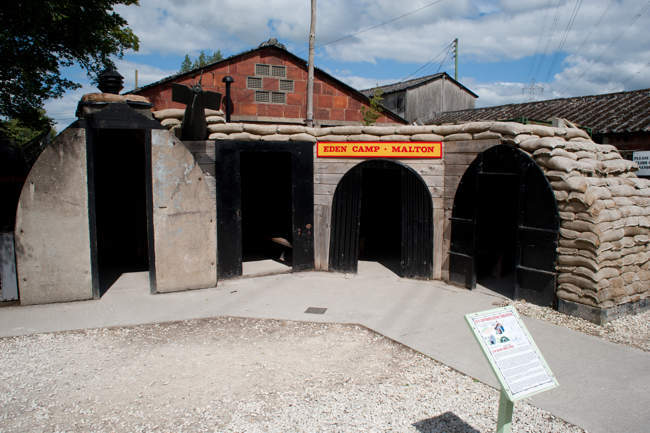 These huts contain exhibits related to particular years within the war. I found Hut 29 (1945), particularly powerful, as it contains many photographs taken when Nazi labour camps were liberated. Some of these are rather graphic, (as they need to be to tell the story properly), but this could be another area to approach with caution for parties with younger children. 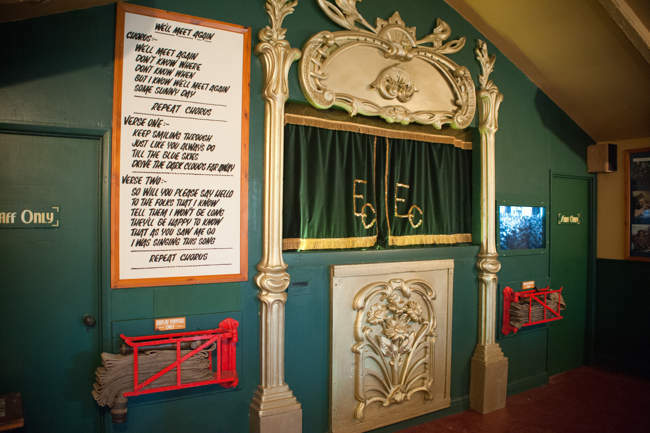 This exhibition leads into a chapel of remembrance area, which has many plaques commemorating those lost during the war. 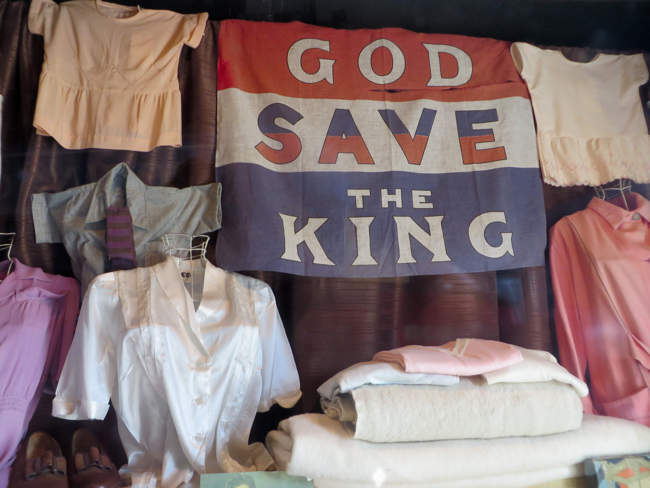 Following the war there was an enormous housing shortage, due to the many homes that had been destroyed, and few replaced. 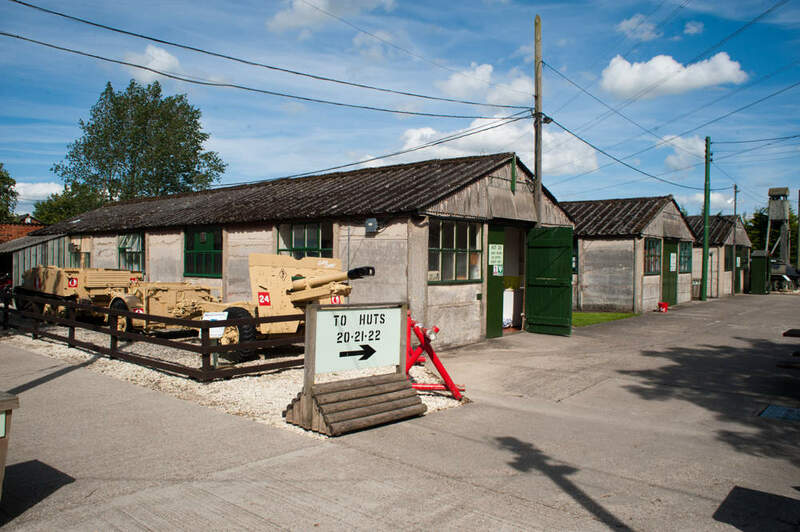 The solution was the construction of many prefabricated (prefab) houses - and there’s a prefab house at Eden Camp so that you can see what they were like. 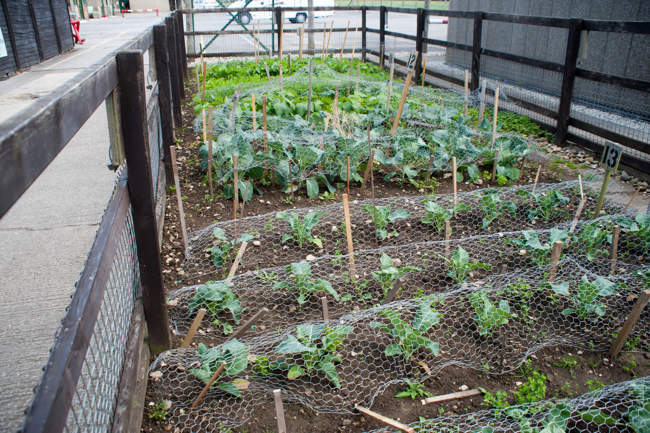 There’s also a “Dig for Victory” garden telling the story of how more than half a million new allotments were created during the war, to help to feed the British people when food was rationed and supplies restricted. 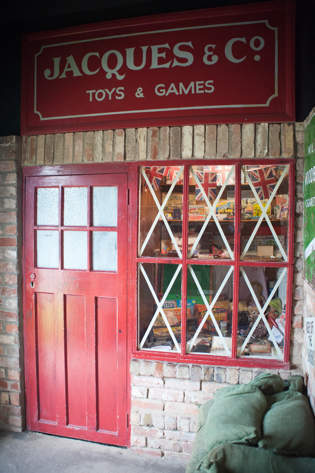 Eden Camp has an interesting gift shop with an excellent range of books and lots of other wartime-themed souvenirs to choose from. 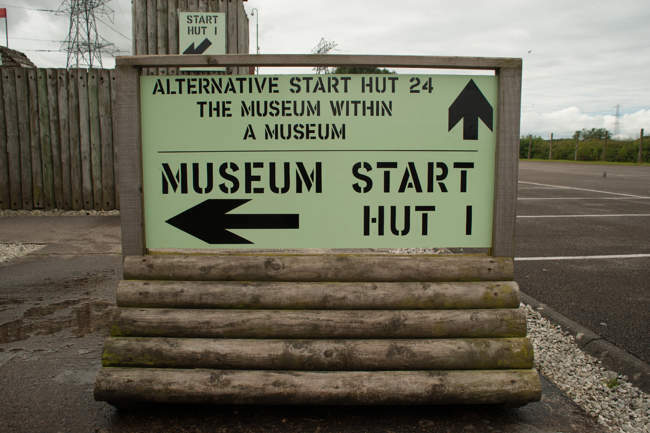 Eden Camp is a good place to visit on a day when the weather forecast isn’t great - because there’s so much to see in the huts - and it wouldn’t be too hard to dash between the huts even if it was raining without getting too wet. 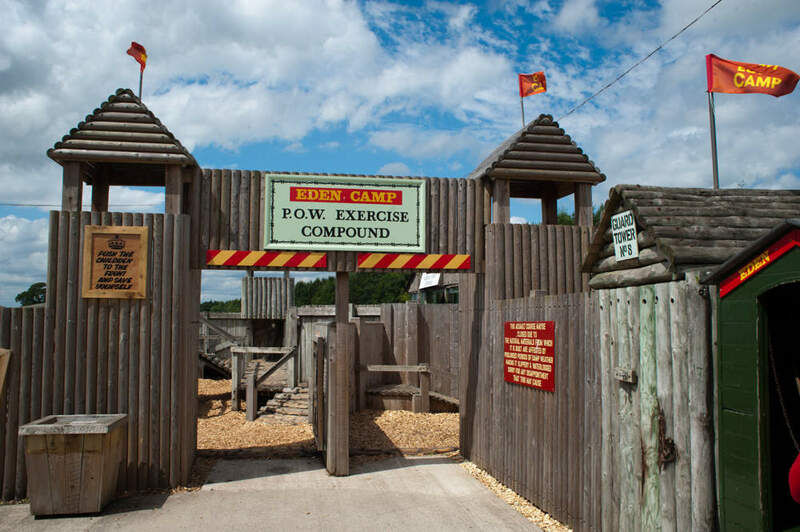 Although the children might be disappointed not to go on the excellent Junior Assault Course play area if the weather was too bad. We visited in May, so it wasn’t cold - but as most of the huts aren’t heated, if you’re visiting in winter, you’ll want to wear warm outdoor clothing, otherwise you’ll end up feeling very cold by the end of your visit: Eden Camp themselves recommend considering a visit to the museum as an outdoor activity, and to dress accordingly. There are lots of events held at Eden Camp throughout the year, some of which involve re-enactments by people in period costume and uniforms. 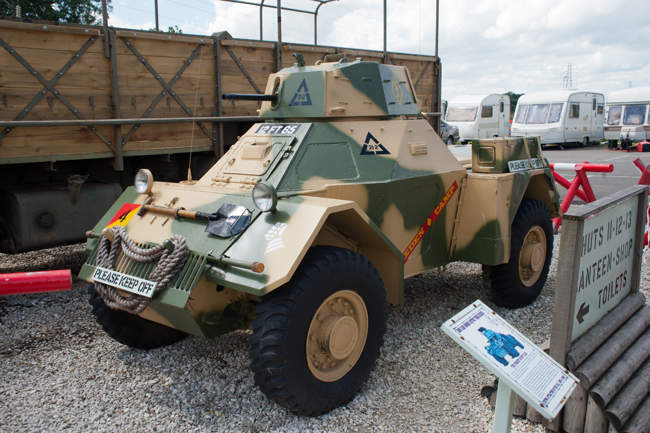 There are also historic vehicle rallies and military reunion and remembrance days. 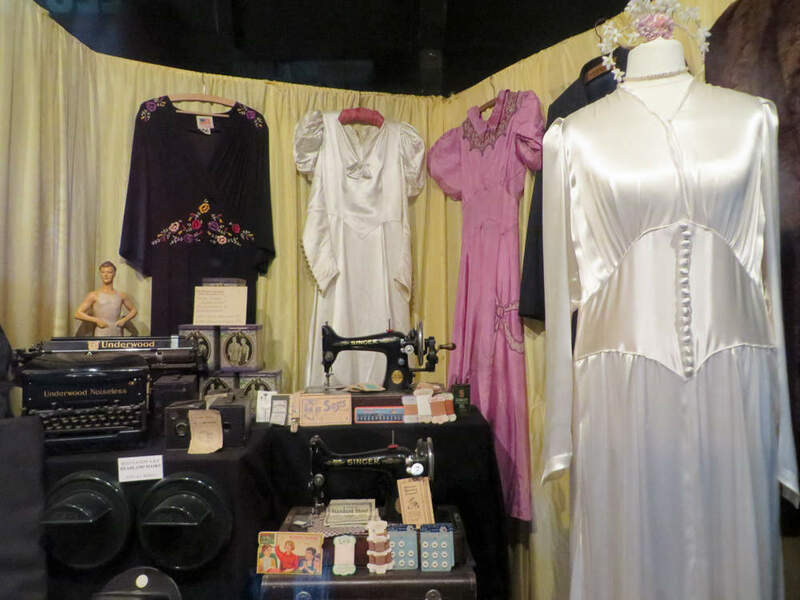 Check the events section on the Eden Camp website for full details. 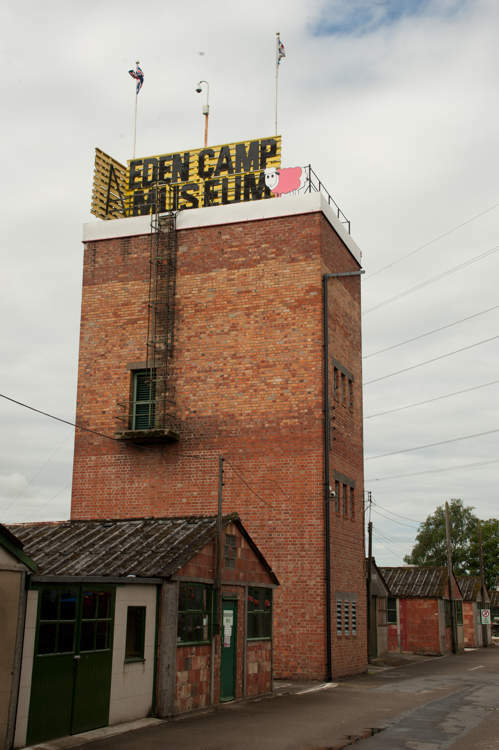 Eden Camp is fully accessible - everything’s on one level so there are no ramps or stairs to negotiate. They have a limited number of manual wheelchairs available to borrow, and braille sheets and audio guides are available for loan free of charge - though you’re advised to book them in advance. Q. Can I bring my dog to Eden Camp? A. Yes, well-behaved dogs on leads are welcome at Eden Camp (apart from in the cafe, gift shop and junior assault course. If your dog is nervous of loud noises, some of the noisier huts might be unsuitable. Q. 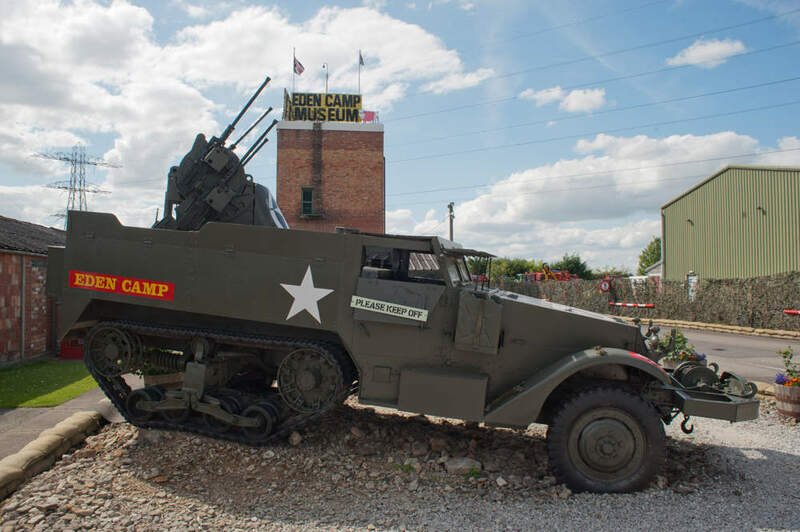 How far is Eden Camp from York? A. About 20 miles by road (a little over half an hour depending on traffic conditions). Q. 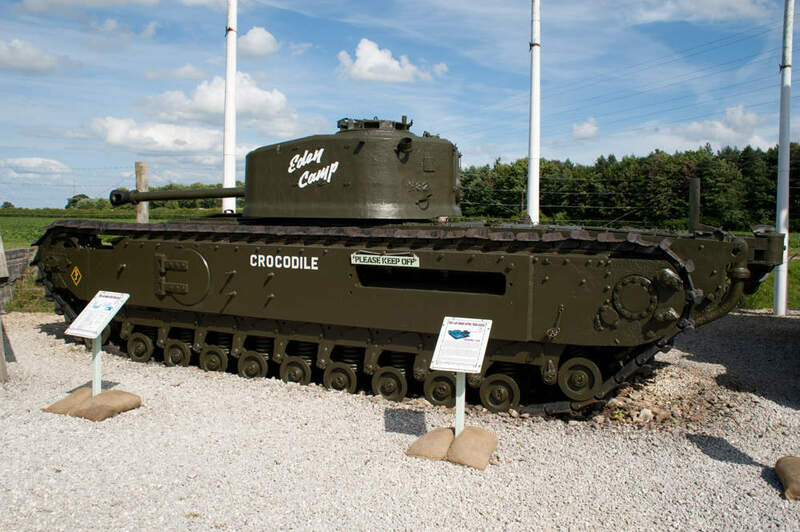 Can I get to Eden Camp by Bus? A. Yes, there’s a local bus service called coastliner which stops at Eden Camp, and runs services from York, Leeds, Whitby, Scarborough and other local towns. For details see http://www.yorkbus.co.uk . Q. Are there any caravan parks nearby? A. Yes, Upper Carr Caravan Park, Black Bull Caravan Park and Robin Hood Caravan Park are all within a few miles of Eden Camp. Q. 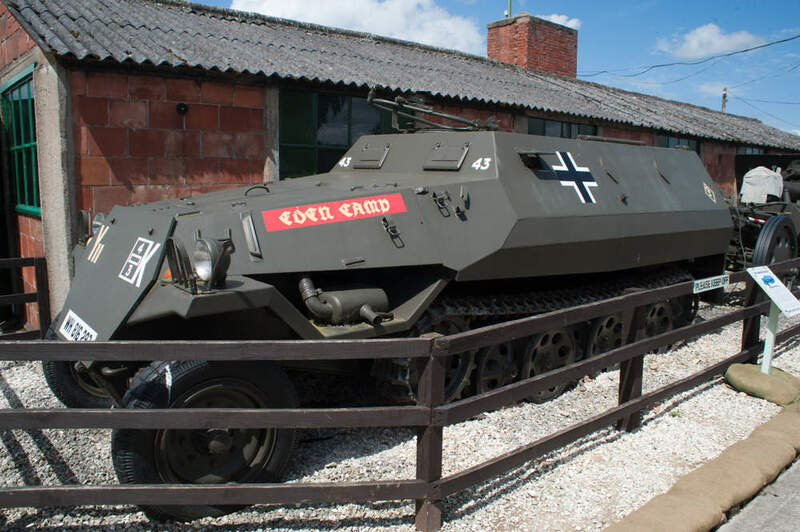 Is Eden Camp accessible to a mobility scooter? B. Eden Camp is fully accessible to wheelchairs and has no stairs to worry about. Depending on the size of your mobility scooter, a few of the huts may be a bit tight to manoeuvre around, but most should be ok.
Q. Is there anywhere to park at Eden Camp? A. Yes, there’s a free on-site car park with space for 400 cars, and areas for motorhomes, caravans, minibuses and coaches. Q. What postcode should I put into my SatNav? A. The postcode YO17 6RT will take you to Eden Camp. 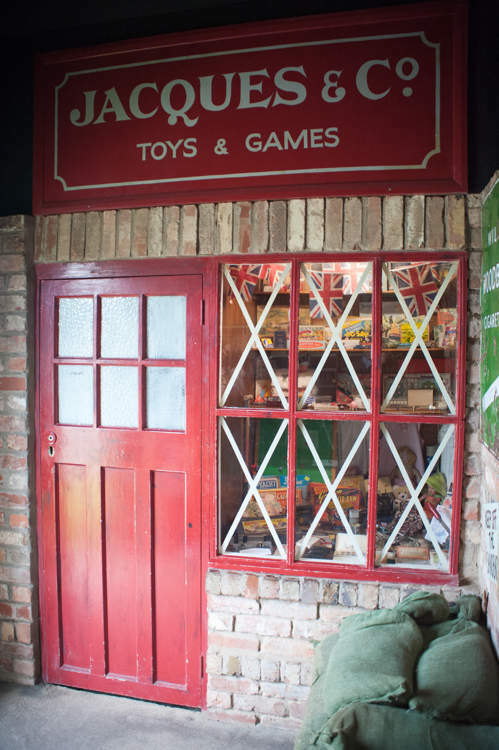 Having visited Eden Camp, it’s clear that a huge amount of time and effort have been invested in creating the exhibits inside the huts to bring the Second World War and its social history to life. 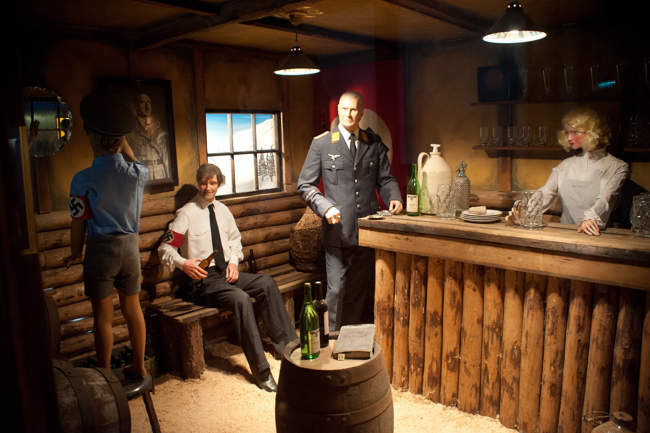 The use of lifelike dioramas, and audio soundtracks that add so much to the experience - has made it a very impressive, enjoyable and memorable day out. It’s educational for the kids (and grown ups) too - although they’ll be having so much fun, they probably won’t notice! "[It was] very informative about what happened and told me a lot of things I didn’t know"
Which bit did you enjoy the most? 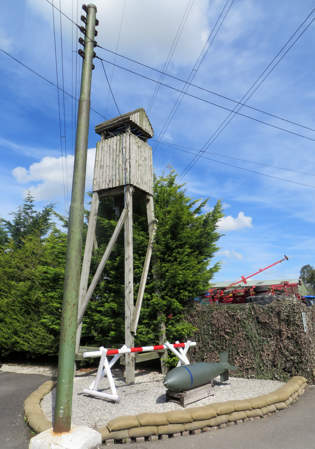 "Probably the recreation of the Blitz - I thought that was very good." Please allow 3-4 hours for a visit.